Nick Tosches trades civilization and its discontents for the possibility of one moment of pure bliss. 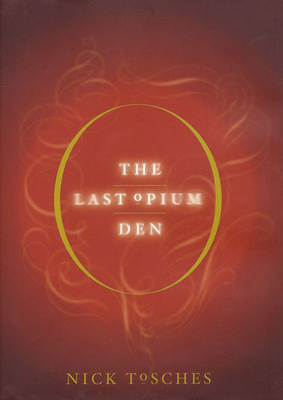 Driven by romantic, spiritual, and medicinal imperatives, Nick Tosches goes in search of something everyone tells him no longer exists: an opium den. From Europe to Hong Kong to Thailand to Cambodia, he hunts the Big Smoke, bewildered by its elusiveness and, despite the meaning it continues to evoke as a cultural touchstone, its alleged extinction. Weaving his spiritual and hallucinogenic quests together with inimitable, razor-sharp prose, Tosches's trip becomes a deeper meditation on what true fulfillment is and why no one bothers to look for it any more. Born in Newark and schooled in his father's bar, Nick Tosches is the author of acclaimed biographies of Dean Martin (Dino), the Mafia financier Michele Sindona (Power on Earth), and Jerry Lee Lewis (Hellfire); and of the novels Trinities and Cut Numbers. He is a contributing editor at Vanity Fair.